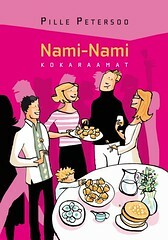 Happy Valentine's Day to all the lovely Nami-Nami readers out there! 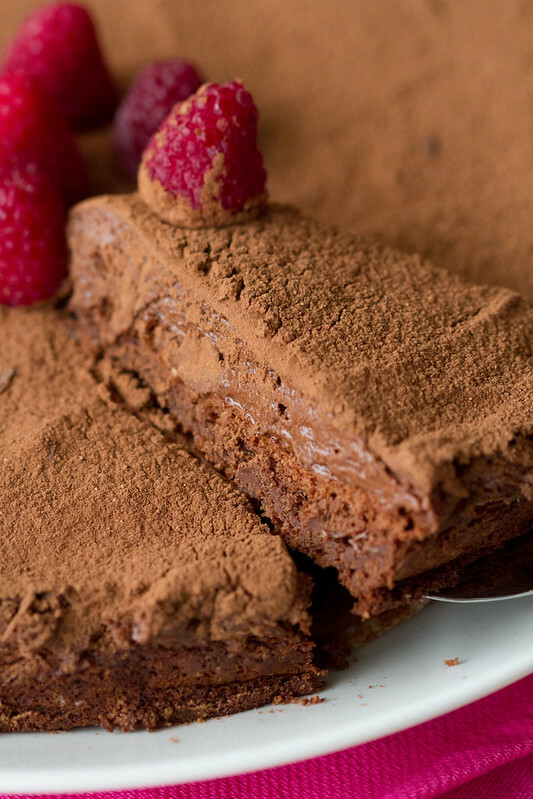 Today's recipe is this gluten-free and fun cake from Denmark, where it's considered to be the French chocolate cake. 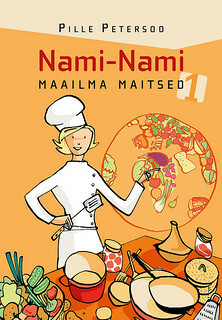 The recipe is from Michel Michaud, a French chef. Well, Michel Michaud was born in France in 1946, but moved to Denmark in 1971, where he introduced the Danes to the culinary delights of French cuisine. Including this cake. I never came across this cake when living in Denmark at the tender age of 18. I only came across the cake few weeks ago, when somebody mentioned in one Danish-language Facebook group that "oh, this [cake] is very similar to Gateau Marcel." 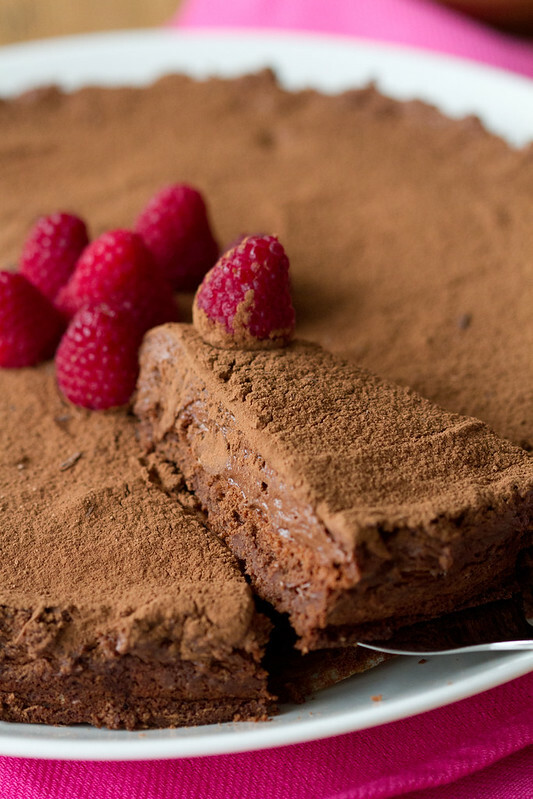 Well, I had to check out what's behind that fancy name and turned out that it's a gluten-free cake that consists of only 4 ingredients (chocolate, butter, eggs, sugar), results in three dirty bowls and one decadent two-layer chocolate mousse cake. Intrigued? So was I - and we loved this cake a lot! Best made on a previous day. Melt the chocolate chips and butter in a bowl set over barely simmering water. Stir until combined, then cool a little. Separate egg yolks from egg whites. Whisk egg yolks and about 2/3 of the sugar in a large bowl until pale and fluffy. In another, very clean bowl, whisk the egg whites until soft peaks form, then continue whisking and adding the sugar, until the egg white mixture is shiny and stiff. (You've got 3 bowls now - one with melted chocolate and butter, one with egg yolks and sugar, one with egg whites and sugar). Gently fold the chocolate mixture into the egg yolk mixture. Then fold in about a third of the meringue (aka egg white mixture) until combined, then very gently add the rest of the egg whites to the batter. Grease a 24 cm/9 inch springform tin thoroughly with butter, sprinkle lightly with sugar or cocoa powder. Spoon up to a half of the batter into the tin, smooth the top. Bake in the preheated oven for 30 minutes. Remove from the oven and cool a little - it'll collapse a little, which is perfectly normal. Then spoon the rest of the chocolate batter on top of the cooled chocolate cake - this will become the chocolate mousse layer. Smooth the top, then place into a fridge for at least 4 hours or until the next day. Before serving, remove the cake carefully from the tin and transfer onto a serving plate. Sprinkle generously with cocoa powder, then decorate with fresh or frozen raspberries or fancy chocolate curls. Oh, yum - so beautiful! I like the top - tarts often crack on the top and usually they say to cover with ganache, but this is so pretty with the raspberries! Tanita, thank you! This wasn't actually cracked on the top, as the top was chocolate mousse layer, but still, cocoa dusting was a fun touch!